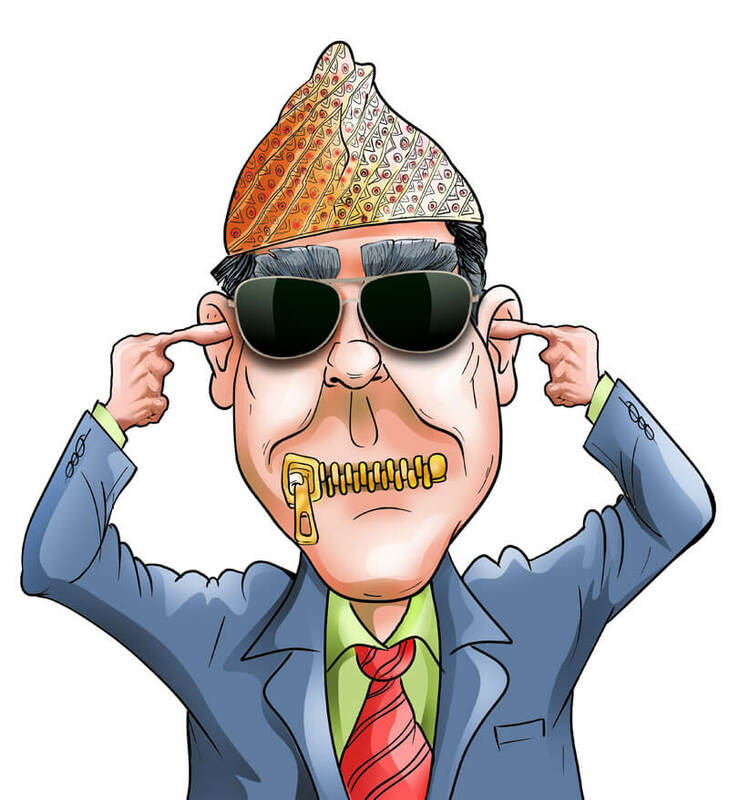 Freedom of expression is enshrined in Nepal’s 2015 constitution, and the K P Oli government has repeatedly assured the public that this liberty will not be taken away. But because a sudden clampdown would ignite protests and international condemnation, the tactic seems to be to muzzle the media in gradual steps. Since the Nepal Communist Party assumed office last year with a two-thirds majority in Parliament, it has incrementally pushed draft laws designed to dampen the citizens’ right to know. And with the spread of the Internet in Nepal, this also includes curtailing the freedom to express themselves on social media platforms. The Electronic Transactions Act is being superseded by the Information Technology Act, the draft of which has provisions that would directly impact Facebook, Twitter, or YouTube content. In a recent example, a ruling party youth wing forced a singer to remove a satirical song critical of corruption in high places. If the new law was in place then, the singer could have been jailed and/or fined. “The draft Act is a direct threat to the people’s right to free expression and to press freedom,” says Shiva Gaunle, former head of the Federation of Nepalese Journalists, adding that the definition of what is objectionable is deliberately left vague to control content. There is also an Advertising Act in the anvil that lays out vague parameters about what is acceptable in paid notices in the media, with 5 years imprisonment and/or Rs500,000 fine for infringement. Critics say this is another way to pressure the media by threatening advertisers. Indeed, although the target of the new draft seems to be Internet content, the impact will be felt by the legacy media with digital editions as well. The new rules come on top of a new Criminal Code that was drafted by a previous government but passed by this one that treats what can be vaguely construed to be objectionable reports and posts in the media as a criminal offence. Previously, violations would be liable for prosecution under other more benign laws.